Found 3 file extension associations related to GPS2WorldWind and 1 file format developed specifically for use with GPS2WorldWind. 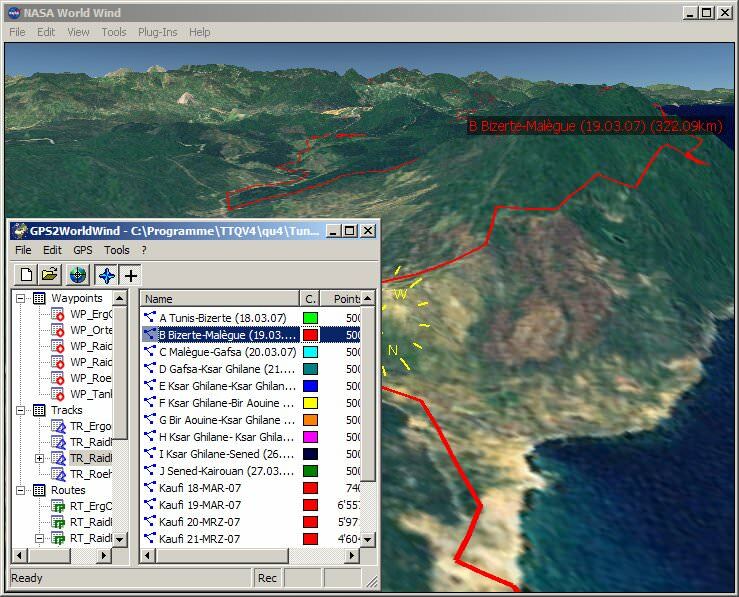 GPS2WorldWind allows users to create and display tracks, routes and waypoints, transfer waypoints, routes and tracks from/to your GPS device, import tracks, waypoints and routes from GPX, PCX5, OziExplorer or Google Map (KML) etc. If you need more information please contact the developers of GPS2WorldWind (Stephan Kaufmann), or check out their product website.